It looks like a slur that precedes the mordent. 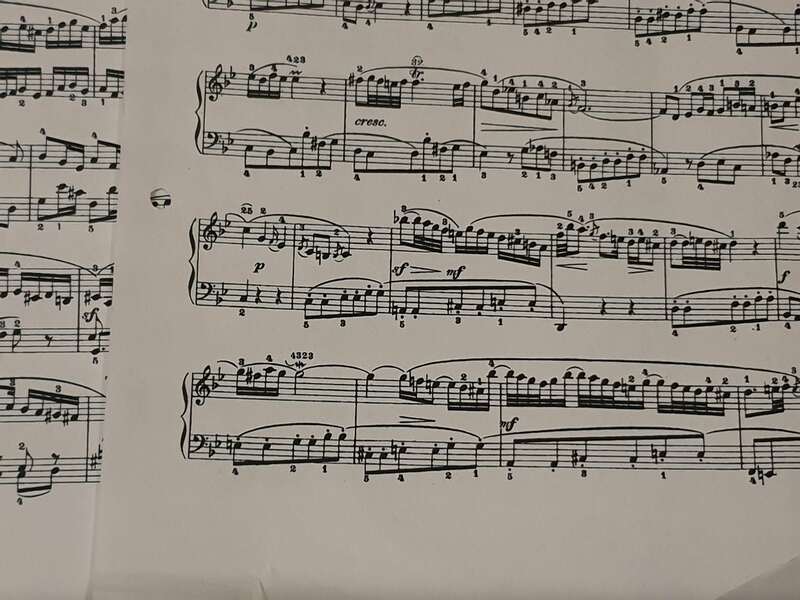 Am I right to assume this would mean having to play the E before playing the mordent as intended? I have the Urtext Edition of Bärenreiter and here in this measure is only a proper mordent. (This concert is a transcription - of the lost violin concerto - by Bachs son Carl Philip Emmanuel, but the harpsichord part has been controlled by J.S.Bach. I‘ve right now realized that the transcription of C.P.E. Bach is in the appendix of thebook in there is no mordent at all. Not the answer you're looking for? Browse other questions tagged piano baroque-period ornaments harpsichord or ask your own question.